This is the ultimate racket sport set. 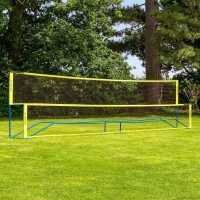 Lightweight and portable allowing you to take the tennis and badminton action anywhere! It may not look it on the surface, but the net frame and high-vis fabric combination is one tough cookie. 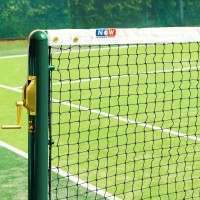 Throw in the aluminium and steel rackets and you have a set that will last you for years! 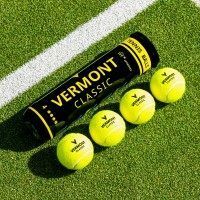 Calling all racket sports fans, this Vermont set is for you! This Vermont set is perfect for those who have a passion for racket sports and want to have the two main ones covered in one premium quality product. 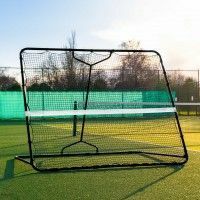 Unsurprisingly, this set’s versatility and range of opportunity means that it’s one of the most popular choices amongst families and young players who are constantly on the move and also schools. Overflowing with everything you need to get playing instantly, this unique ProCourt combination set can be fully assembled in just minutes. 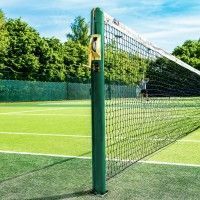 This is especially useful for schools or tennis clubs where there may be time constraints on certain sessions, so every minute of play is precious. Just as quick to take down as it is to set up, the handy carry bag can be used to store the set as well as transport it. 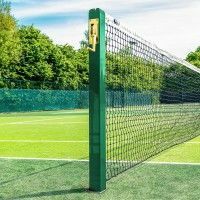 The quick-to-assemble nets and posts are also extremely durable, so can withstand a remarkable amount of activity for a very long time. 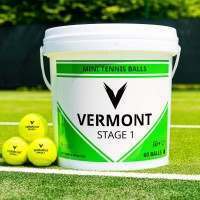 This Vermont combi set features sets of high-quality tennis and badminton rackets. 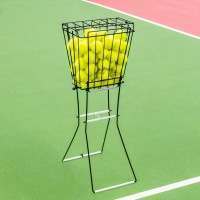 The tennis rackets are available in three sizes; kids, junior and senior but all have the same characteristics running through them. 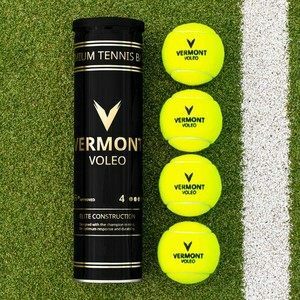 All are designed with control in mind, as each racket comes with a comfortable grip making it easier to demonstrate the best techniques and consistency. 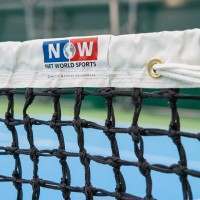 Our featured badminton rackets are available in three sizes; 21inch, 23inch or 27inch, both manufactured with a tempered steel shaft for increased durability. 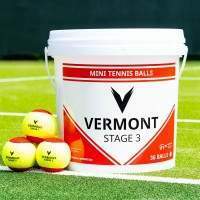 The highly-versatile set comes complete with a set of tennis balls and shuttlecocks as it leaves no stone unturned when looking to cover every angle of both tennis and badminton. 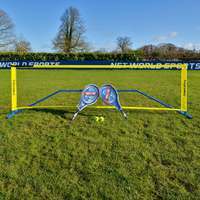 As well as possessing versatility, the ProCourt can also be used all year round, indoors or outdoors, on any surface so anyone can play at any time they want. 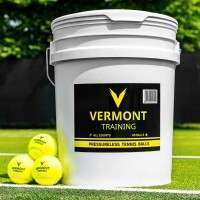 If you’re looking to provide a youngster with a first experience of rackets sports or run a club or a school where multiple activities are often played, then this Vermont ProCourt set is the perfect product for you.